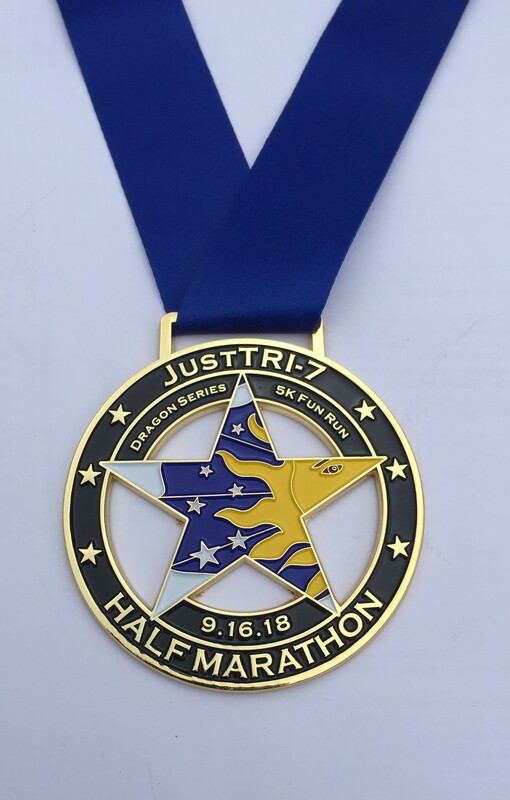 JustTRI is hosting the 3rd Lakewood-Steilacoom Half Marathon. 2017 was AMAZING. 2018 was amazingly rainy! Participants both years crossed the finish in tears - tears of pain! But also tears full of accomplishment! Wait, what? YES! Cash prizes…the JustTRI Staff has hidden idols worth $$ along the course. Why? Because we want you to win and by finding the hidden idols, you win! There will be 3 hidden idols, one for each course – The Half, the 7-Mile, and the 5K – Turn the idol in at the finish and receive Cash. Cold Hard, Cash! Look for clues on JustTRI’s Face Book page. in 2018 there were 3 $100 winners!! Look for details of the 2019 Cash JustTRI Hidden Idol contest! Look for clues we post on Facebook throughout the year. This was information about last years course - But in 2019 we will make a few changes! Look for updates on Facebook and our webpage: RunLakewood.com! The Half Marathon and Just TRI-7 (aka the Dragon Run) will follow the same route as the 2018 course – To the Town of Steilacoom via Farwest Drive X Steilacoom Blvd (traffic controlled) to downtown Steilacoom and back to the park. This race will challenge you and reward you! There are several steep up hills, there are treacherous down hills, there is about 4 miles of multi-use trails, but after all this, athletes are rewarded nicely with very well-deserved swag. Be sure you have what it takes to complete this half. If you get tired, no problem--stop and have a burger and beer at any one of several great pub and grills along the way or after the race. BEAST Pacing…You likely have seen the Beast Pacing team on various courses – we will have 10 pacers on the course! They will pace and guide participants along the route. JustTRI host’s the 2019 Dragon Series! This will be Dragon #2! It's like a 10K (6.2 miles) except it's 7 miles! Yes, it's just a bit longer. One mile for each letter of JustTRI. This distance was designed for runners of all skill sets but be ready to take on the various challenging hills. The JustTRI-7 is part of a 7-run series called the Dragon Series. We did this promotion in 2018 and will do it again in 2019!